These words contain the secret to national and personal greatness—trusting in God alone. 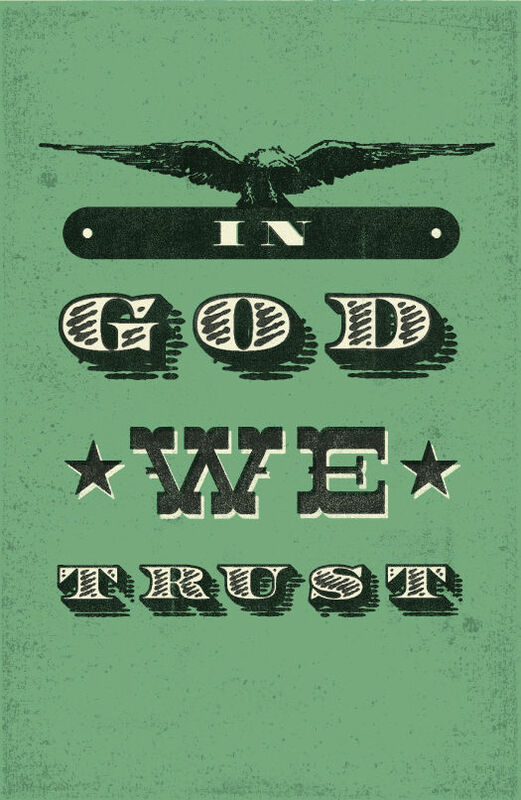 Printed boldly on the back of United States currency is the motto “In God We Trust.” We have seen it so often that it may have lost its meaning to us. But found in these words is the secret to national and personal greatness. Reliance upon God was deeply rooted in our country's important documents and institutions from the beginning. But today confidence in God and His Word is no longer the foundation of society. In our homes we nightly view things that were unimaginable on television and in movies only a decade ago. Violence, sexual perversion and obscene language spill off the screen. In government, God’s principles of truth and justice have often given way to personal and political advantage, personal profit, and compromise. As we have departed from God, life has been devalued. The lives of unborn children are snuffed out in abortion clinics and the number of robberies, rapes and murders increase daily. It is time that we return to the values of God’s Word in our public and private lives so that He will heal our people and our land. We must begin person by person on our knees, confessing our failure to trust God fully in our lives. 2. Recognize God’s love for you: “God so loved the world, that He gave His only begotten Son, that whosoever believeth in Him should not perish, but have everlasting life” (John 3:16). 3. Receive Jesus and His forgiveness, the only basis for having a personal relationship with God. “As many as received Him [Jesus], to them gave He power to become the sons of God, even to them that believe on His name” (John 1:12). God is calling you to put your trust in Him today! Don’t ignore His call!